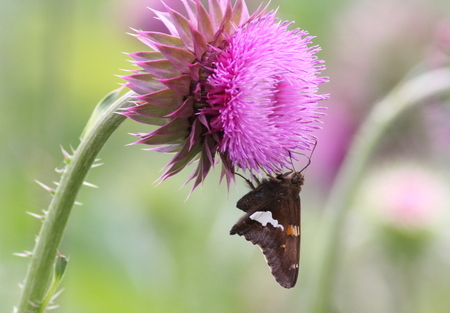 This Eastern black swallowtail (above) was flitting around the Amvets carillon in North Arlington earlier this week — along with the silver-spotted skipper on nodding thistle (below). The Hackensack River is slowly getting better in ways that most people never think of. It’s not just more fish and more species of fish — or more birds, and more species of birds. 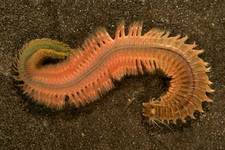 It’s what’s happening in the mud on the river’s bottom. 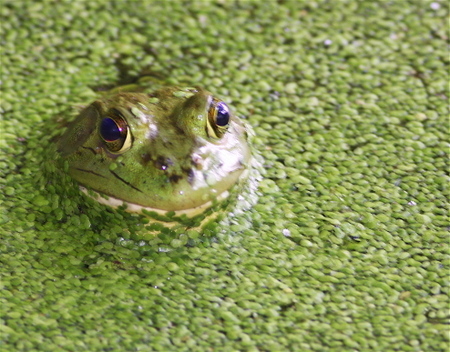 Today, the New Jersey Meadowlands Commission‘s scientific arm is announcing some encouraging news about the health of those little mud dwellers. 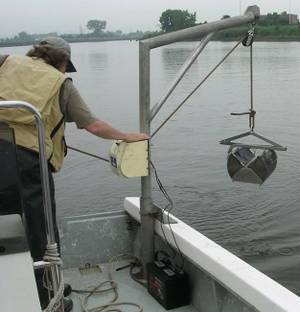 Research by the Meadowlands Environmental Research Institute shows that the snails, worms and other tiny organisms that live on t he bottom of the river are making significant gains in both numbers and biodiversity. Click "Continue reading…" to read more. 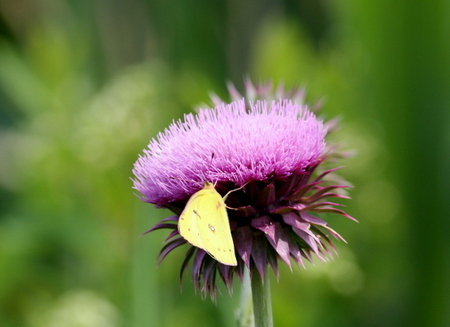 Above: an orange sulfur butterfly on bull thistle. 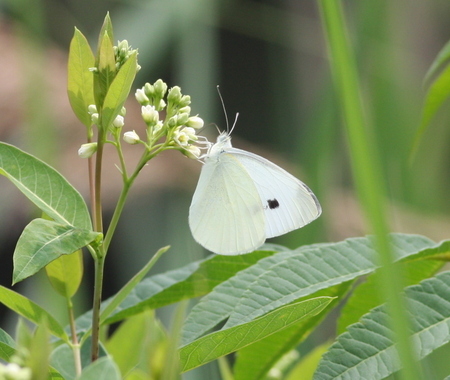 Below: cabbage white on spreading dogbane. Both photographed near the Amvets memorial carillon near the entrance to Mill Creek Marsh Trail in North Arlington. Out by the Amvets memorial carillon on Disposal Road in Lyndhurst, a pair of Baltimore orioles have been hanging out on a regular basis. In the video below, they are taking a bath in a puddle near the base of the memorial. Best played with the "volume" on. More about Baltimore orioles here. One of the great things about walking in the Meadowlands is you never know who you'll run into. I encountered this guy on the first day of summer. He saw me before I saw him, and froze. That appears to be a major terrapin defense mechanism: Act like part of the scenery until you decide it's time for Plan B. In the photo above, it's time for Plan B: Make a run for it. 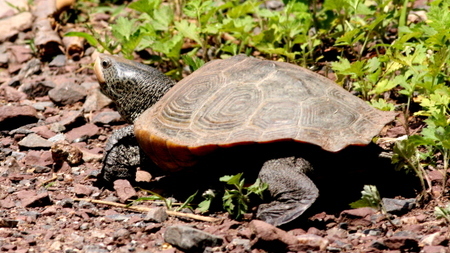 For a previous post on diamondback terrapins, including a short video, click here. 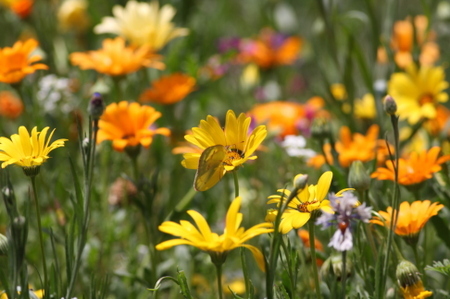 Summer kicks off today with the summer solstice. 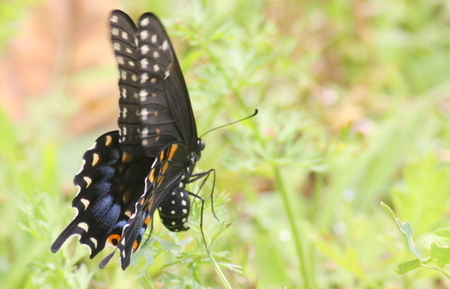 Don’t forget the Meadowlands Environment Center’s program on the summer solstice on Saturday. More info here. It is duckling season across North Jersey. Here, Mom gives the kids a bathing lesson. The fourth annual Meadowfest — a celebration of the Hackensack River and another way to let more North Jerseyans know about the natural wonders of the region — took place on Saturday at Laurel Hill County Park in Secaucus. A 1-minute video sample of the fest is above. The Record’s coverage of the day is here. The Star-Ledger ran an item the morning of the event. You can celebrate summer’s arrival and learn more about the Sun on Saturday, June 21, with a visit to the Center for Environmental and Scientific Education in the Meadowlands. The event, which runs from 11:30 a.m. to 2 p.m., features the center’s Laura Venner talking about NASA’s Solar and Heliospheric Observatory (SOHO) mission. Laura will bring out special solar viewing equipment for a hands-on experience. 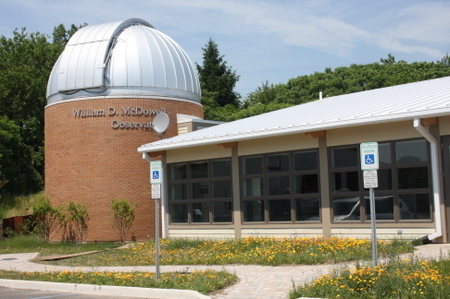 You’ll also learn about solar cycles, sun spots and the apparent motion of the Sun, and get a guided tour of the William McDowell Observatory, which opened earlier this year. Check-in at the Meadowlands Environment Center (the first building on the left) in the New Jersey Meadowlands Commission’s headquarters at DeKorte Park in Lyndhurst. The program will be held in the Astronomy Amphitheater in the Center for Environmental and Scientific Education, a short walk away. Participants will receive free space-weather posters, stickers, refrigerator magnets, and 3D cards and 3D glasses. Admission is $5; free to members of the Meadowlands Environment Center. Pre-registration preferred, walk-ins welcome.